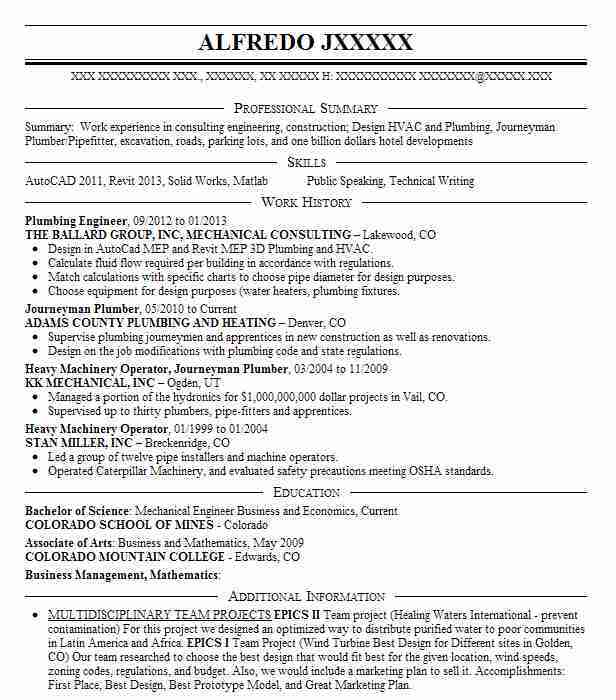 Strongly skilled and hardworking Plumbing Engineer with thorough familiarity with all building construction systems. Adept at functioning well independently or as part of a team. Proven record of successfully completing multiple simultaneous building construction and repair projects. K & L Enterprises Inc. Performed pump testing at all facility locations. Calculated checked and submitted all contractor and subcontractor bills. Conducted pipe and other plumbing material inspections. Installed and tested water and sewage lines for residences and commercial buildings. Evaluated water supply and drainage systems of constructed buildings. Designed and implemented water supply layouts and schematics for new residences and commercial buildings. Fabricated and inspected equipment for functionality and resiliency. Ensured structural and drawing compatibillity. Supervised all CAD design work. Conducted equipment and material testing in compliance with all relevant codes and specifications. 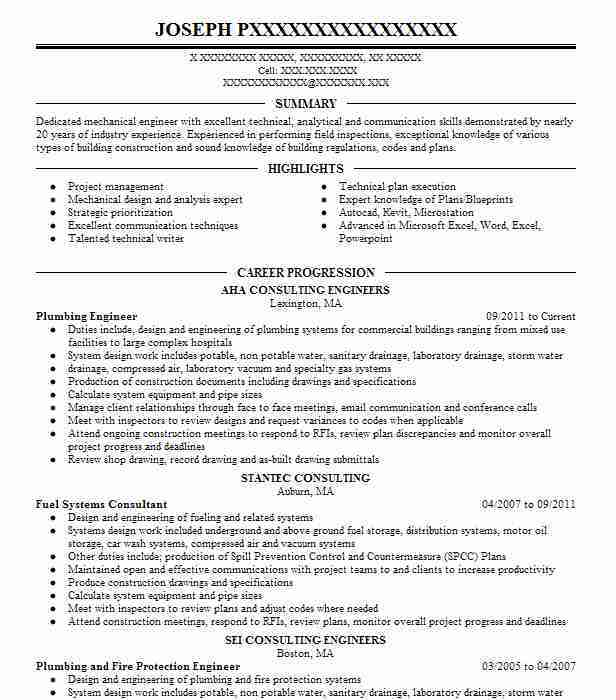 There are plenty of opportunities to land a Plumbing Engineer job position, but it won’t just be handed to you. 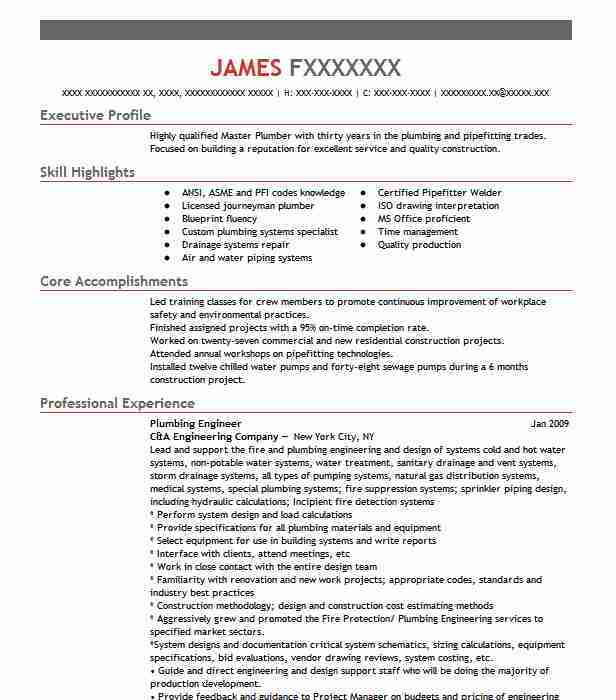 Crafting a Plumbing Engineer resume that catches the attention of hiring managers is paramount to getting the job, and LiveCareer is here to help you stand out from the competition.